This is a recurring feature that I borrowed conceptually from other bloggers. I am creating cards for players that did not have cards in various years for whatever reasons. On this date in 1973, John Cappelletti won the Heisman trophy, along with the hearts of everyone. I celebrate that memory by creating some "missing" cards for Cappy. I grew up a big fan of Cappelletti. The Heisman winner at Penn State made headlines when he dedicated the trophy to his younger brother Joey, who was dying. This was later made into Something For Joey, a tear-jerker of a movie. 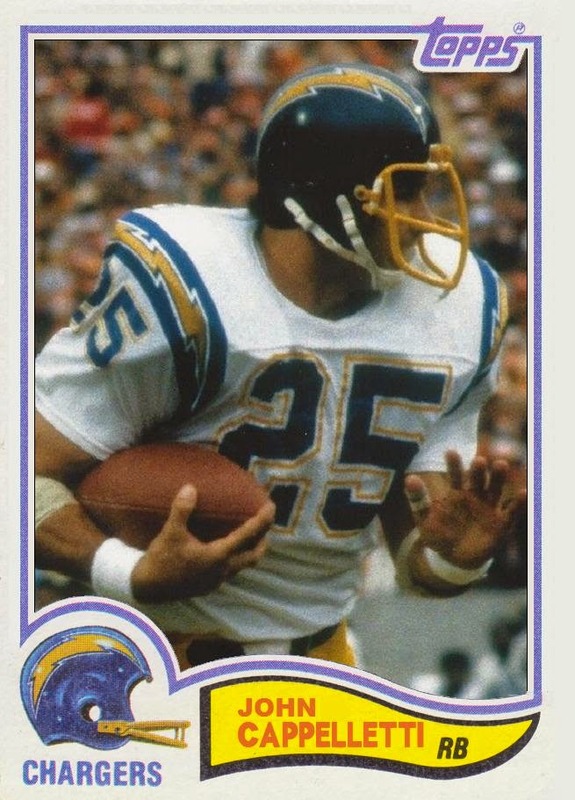 Cappy was drafted by the Los Angeles Rams and played with them from 1974 through 1979 (although he was injured the last season). 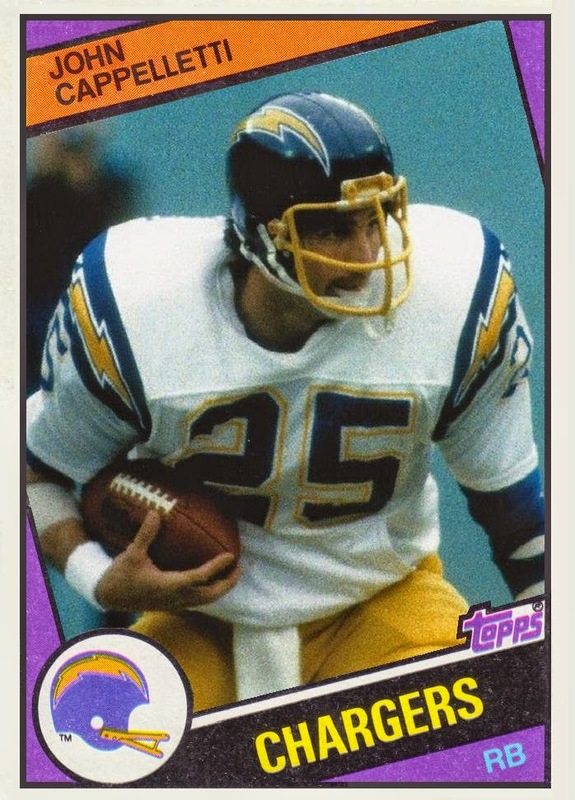 He moved on to the San Diego Chargers from 1980 through 1983. He finished with 2951 rushing yards and 1233 receiving. He was never a star, but he carved a solid NFL career. Topps gave him a card in 1977, '78, '79 and '81. Back in those days, cards in four sets was pretty good. Looking back at his career, the only year I think Topps blundered was the 1982 issue. Cappy had a solid '81 season. Valid reasons or not, those missing years needed to be corrected. As usual, the only liberty I took was not fuzzing out the logos as was the norm at the time. My 1975 creation features quarterback John Hadl in the background and my 1981 card has quarterback Pat Haden. i am reasonably happy with how they all look. I am even happier to have filled in the missing links in Cappelletti's cards!